Kavaliro is proud to announce the sale of former Kavaliro startup company Fyre to Atlanta-based company Peoplenet. The sale of Fyre is a validation of the core values that Kavaliro strives towards every day. 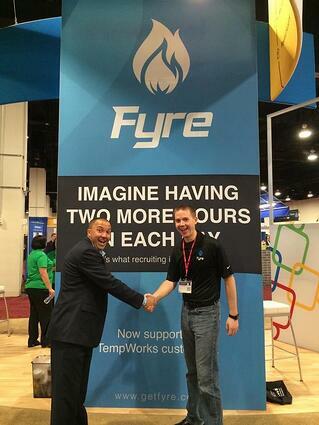 Tim Arnold (CEO of Fyre) started as a recruiter at Kavaliro after graduating from the University of Central Florida. He saw the need for an improved workflow process that could be achieved through technology. After presenting his idea to Kavaliro executives, he was given the tools and support to develop his idea. The management at Kavaliro are proud of the sale of Fyre; it validates their commitment to listening to employees, valuing their input, and backing them with the maximum effort and support when necessary.